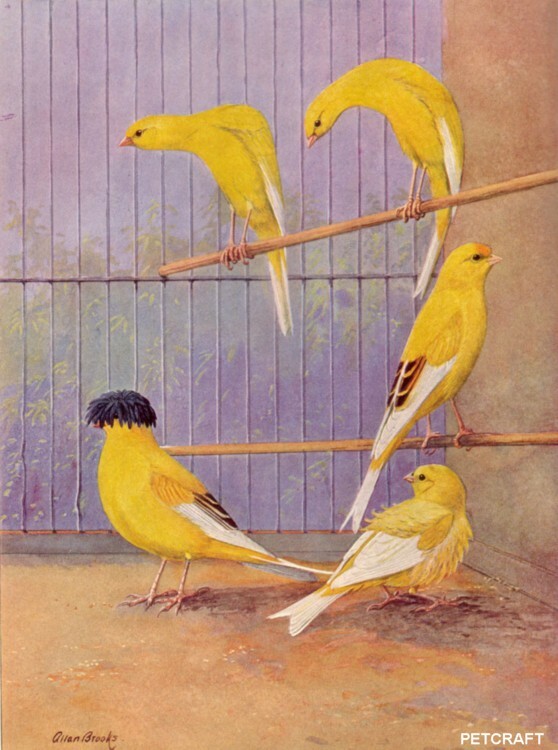 The Yorkshire canary, said to be a comparatively modern variety, has a long, slender body and small head. It is bred in various colors, one of the common ones being clear yellow. Males may be nearly seven inches in length (Color Plate II). I found the above article about Canaries to be interesting, I like to know if someone can tell me about my young canary I got this year in February he is a great singer it would seem like clock work from 7:30 in the morning to 5:30 p.m. early evening. I give him variety of Canary seeds and also variety of vegetables some lettuce also a wedge of apple every other day and also shaved carrots. since around June he stopped singing and this is when he began to drop his feathers and you continue to drop his feathers until early September his color is lighter than the orange it was earlier I give him vitamins in his water in addition to a variety of mixed seafood canary seeds for multi and the dark red seeds which supposed to keep his plumage Orange to and with red seed mix should come in even darker orange. but instead he appears to be even later than when I got him and Colour. he remains active in his cage and have several Toys in the air and a swing is not inspired to sing even when I play youtube videos of Canaries singing. does anyone have info as to if and when will he start to sing again and what caused him to stop singing? thank you. Also, do make sure that your bird’s light schedule is the same as dawn to dusk in your location. The Canary FAQ also has a section on color feeding.